La Capa and DeColores, a cape and pair of half-sleeves, may be worn alone or together. 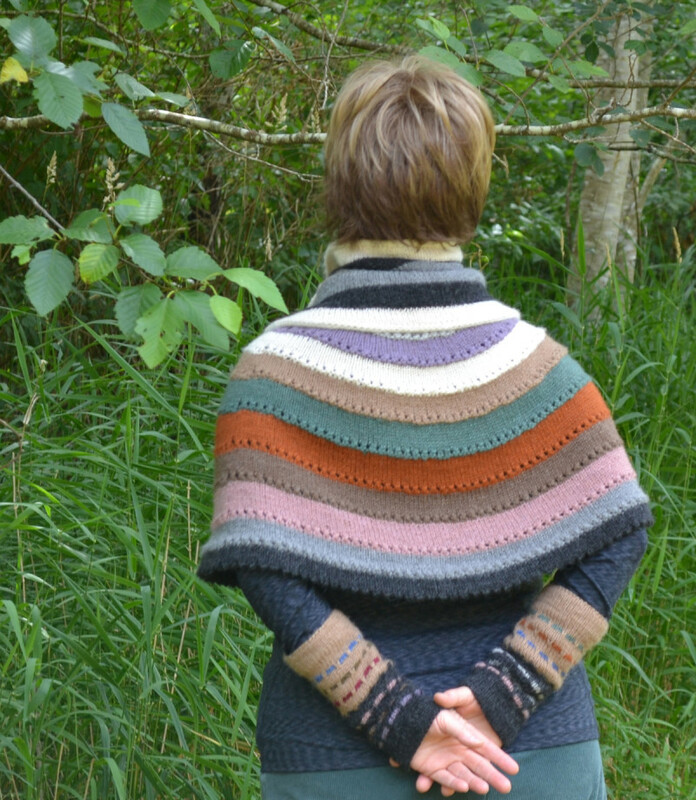 The knitting is simple and serene, and the yarn is sensuous. Purchase the pattern for $7.00. The yarn, Skacel HiKoo™ Llamor, is spun of kitten-soft yet cougar-strong baby llama and is the distillation of more than a year of fiber communion between me, my brother Jim “Pecos” Petkiewicz, and a beloved Peruvian yarn whisperer friend who shares her insights with us during our trips to Peru. The timeless color palette of a high Andean community near Cusco inspired us to overdye the lightest of seven natural shades to match their sublime textiles. The seven colors we chose have endured as soulmates over many centuries, so all combinations sing in harmony. 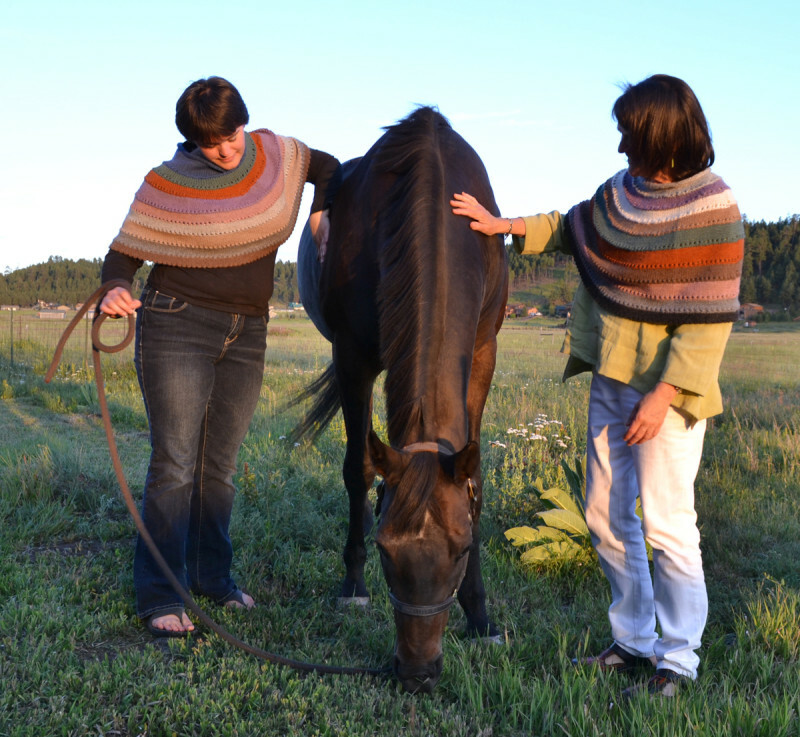 The random depth of LaCapa’s color rings makes for relaxed knitting and subtly animates the garment. The color rings finish with a steady rhythm of eyelets, each one paired with a knit or decrease, to grow the circumference until it suits you. The colors marching around DeColores’ Half-Sleeves are random, which adds grace and makes knitting more fun. Slipped stitches allow you to carry just one color at a time. Copyright © 2019 Cat Bordhi.